Waste from a Guangdong factory dyed a waterway magenta and blue on the afternoon of May 12, according to Guangzhou Daily. 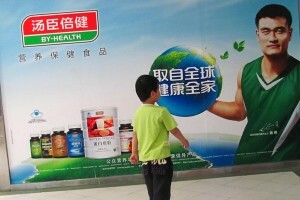 A Huizou printing plant apparently illegally discharged its rubbish into the small waterway about 12 p.m. that Tuesday. 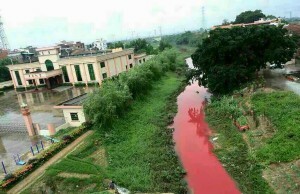 Dyed red near the factory and blue upstream, residents noticed the bizarre colors immediately, and sent pictures to Yuanzhou county officials and posted them online. 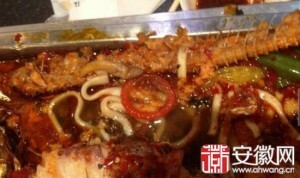 A Anhui restaurant manager swallowed a condom after arguing with a customer over whether or not she deliberately put the contraceptive in her food, according to Hefei News. 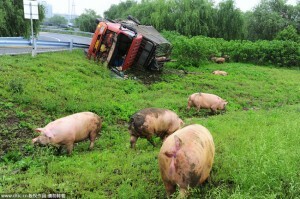 An intrepid gang of pigs punched through the roof of an overturned semi-trailer truck on May 11, according to People’s Daily. 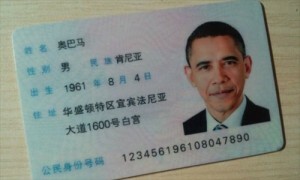 Police pulled over a Jiangsu man for driving while attached to an intravenous drip on April 30, according to CCTV news. Gang Fang was apparently traveling on a highway in Jiangsu province—located in east China—with a bag of fluid sticking from his sunroof, and a tube leading to his arm that Wednesday afternoon. 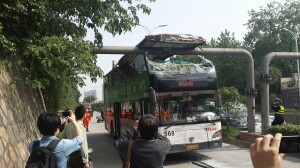 Three were injured after a double-decker bus smashed into a Wuhan bridge on April 27. The bus was traveling the wrong way on Wuhan Changqing Road, couldn’t detour and smashed into He Zhujiadun Railway Bridge about 12 p.m. that Sunday, according to news21.cn.com. 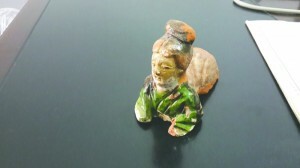 A Chengdu man peeing on the side of the highway discovered three ancient statues on April 24, according to Chengdu Daily News. Xiao Xu was traveling southeast from work on a highway near the Sichuan Provincial People’s Hospital—located in Chengdu in southwest China—about 6 p.m., when the 20-year-old couldn’t hold it any longer. 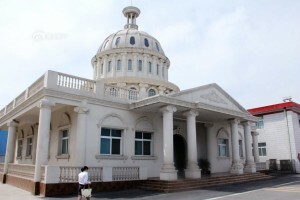 Three farmers with only primary school educations were arrested for establishing “New Dengzhou People’s Government,” a makeshift-governing agency located in Henan province on April 21. Nicknamed the “Zhang Trio,” Zhang Xin, Maxiang Lan and Wang (no first name available) established “New Dengzhou People’s Government” in September 2013, after the old “Dengzhou People’s Government” withdrew from legitimacy that same month, according to news.dahe.cn. 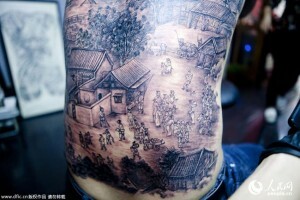 A Hunan man lay motionless for 55-hours while a Song Dynasty scroll was tattooed into his flesh. “Riverside Scene at QingMing Festival,” measuring 50 cm high and 38 cm wide, spans the entire length of Yang Zhenwei’s torso, and took seven days to complete, according to People’s Daily. Designing the tattoo was the hardest part, said tattooist Ah Wei (pseudonym). That, and the 11-hour days. 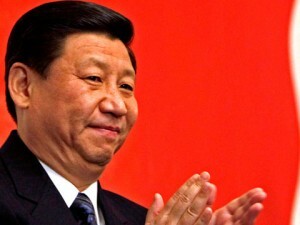 A Chinese official died from drinking too much — on his first day on the job. 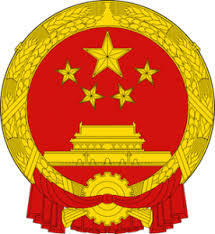 Zhong Xiefei died from excessive drinking the evening of April 9, according to South China Morning Post. That Wednesday he enjoyed his first — and last — day of work as deputy chief of Laibin city, located in Guangxi province in south China. 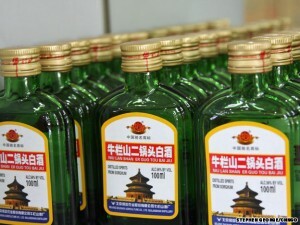 Zhong began drinking baijiu, China’s national liquor, with other provincial and county-level officials that day at lunch. 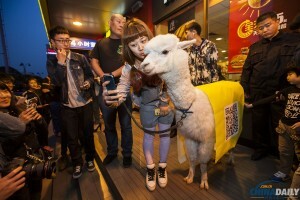 A Changchun City man and his alpaca went for a joyride on the evening of April 16. 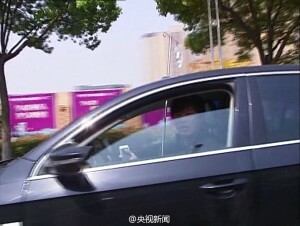 The man drove a black sport utility vehicle east on Xi’an Road in Changchun City- the capital of Jilin province in northeastern China- while the alpaca sat in the passenger seat, enjoying curious looks from rush-hour travelers. The alpaca’s looks were used to drum up business for a local store, according to China Daily, and the “special guest” drew quite a crowd.